1. Get copies of your credit reports and correct any errors — you can get a free report once every 12 months from each of the three major credit bureaus (Equifax, Experian and TransUnion) by visiting AnnualCreditReport.com. 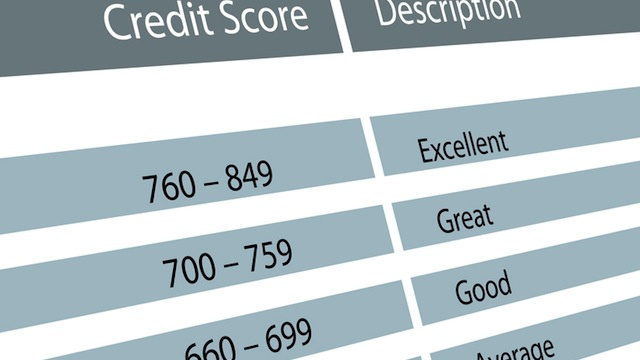 2. Review your FICO Score (the most commonly used credit score). The range is 300 to 850; the best interest rates are typically offered to people with scores above 720. 3. Pay your bills on time — even if it’s just the minimum amount due. Your payment history is 35% of the total FICO Score. Repayment of past debt is the single most important factor in calculating credit score. 4. Set up automatic bill payments to avoid being late, especially if you tend to procrastinate, you’re unorganized or you travel regularly. 5. Pay more than the minimum amount due, if you can. If you pay only your credit-card minimums, it will take you much longer to pay off your debt and will cost you more. 6. Keep the balances on your credit accounts below 35% of your available credit — credit utilization represents 30% of your FICO Score. People with the best scores tend to have about a 7% credit utilization ratio, but 10% to 20% is OK.
7. Don’t close credit cards. Fifteen percent of your FICO Score is based on the length of time each account has been opened and the length of time since the account’s most recent activity. Closing accounts also hurts your credit utilization ratio by reducing your available credit. 8. Maintain a mix of credit, including mortgage, home equity, auto loans and credit cards, and pay those bills on time. Credit mix makes up 10% of your score. 9. Don’t apply for too much credit. An excessive number of applications may suggest you’re getting credit hungry. New credit accounts for 10% of your total FICO Score. 10. Pay off credit card debt rather than moving it around from one card to another.